Experience the legendary Trans-Siberian Railway and the Trans-Mongolian Railway on board a private charter train. 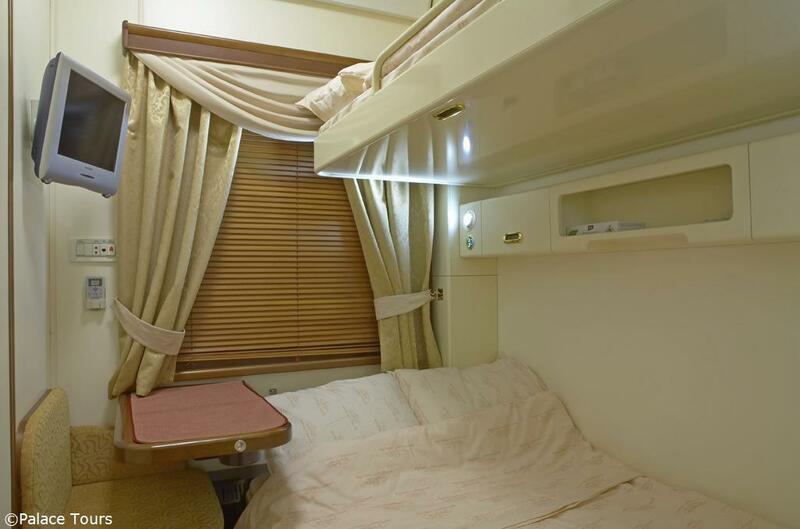 Your cabin is your "hotel on wheels" during much of your rail cruise journey. Our train offers a choice of 4 accommodation categories from Standard to Gold as well as a restaurant, a bar and a conference area for lectures. Stops for land excursions at the most interesting places along the route are included every day. In selected cities like Yekaterinburg in the Ural Mountains, Irkutsk near Lake Baikal and Ulaanbaatar, the capital of Mongolia, hotel nights in international managed four star hotels are included, allowing you more time to explore these places and enjoy a relaxed journey. Hotel nights in Moscow and in Beijing in four or five star hotels are included as well. Our rail cruises offer you the possibility to experience remote areas of the world like Siberia, Lake Baikal, and Mongolia and at the same time enjoy the comfort which is possible only on board a private charter train. Arrival in Moscow, a city known for its size, architecture, and culture. You will be met at Moscow airport and transferred to your hotel. Accommodation in a four start hotel in Moscow. 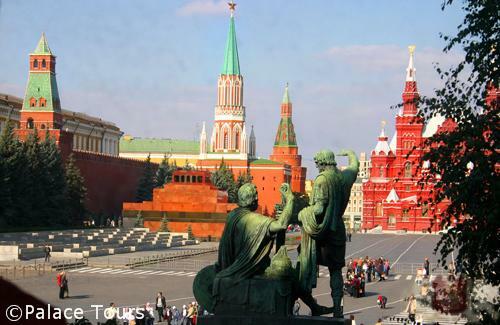 A full day sightseeing tour shows you the magnificent Red Square, the Kremlin grounds, and other highlights of Moscow. Forget old stories about Russia being grey and dark- it has become a vibrant city, full of life, comparable to Paris or Rome. In the evening transfer to the railway station where your private train, the Grand Trans-Siberian Express, is ready for you to board for the first leg of the almost 8000 km long journey to Beijing. Enjoy a welcome dinner and accommodation on board the Grand Trans-Siberian Express. Today you enjoy a typical day on the Trans-Siberian Railway. Your private train passes through endless scenery of forests, lakes, and small settlements, followed by the Ural Mountains. A day to relax, watch the landscape, and listen to lectures about Russia and its people. In the evening you arrive in Yekaterinburg, the “Capital of the Ural Mountains”. Accommodation in a four star hotel in Yekaterinburg. 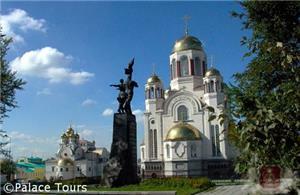 Spend today in Yekaterinburg the “Capital of the Ural Mountains”. 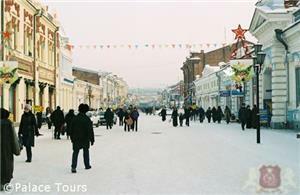 The city was founded in 1723 by Czar Peter I as the center of metallurgical industry. By the 20th century it had become one of the largest and the most important financial, industrial and cultural centers of Russia. 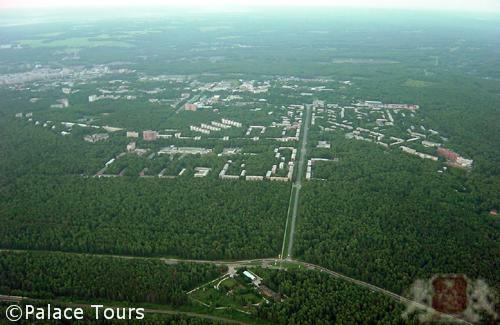 Yekaterinburg is located at the geographical border defined by scientists between Europe and Asia. In the morning a sightseeing tour shows you the city center and you visit a place of remarkable importance for Russian history: the “Cathedral on The Blood” which was built at the place where Czar Nicholas II and his family were executed by the Bolsheviks in 1918. In the afternoon an excursion into the Ural forests takes you Ganina Yama, which today is considered by Russians as a “holy place”. 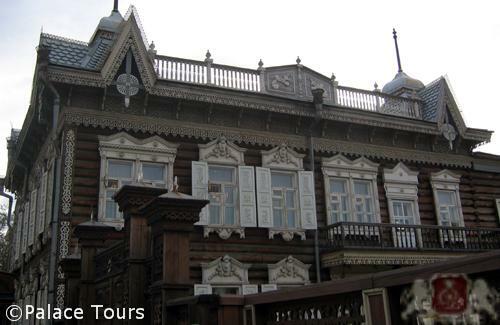 It is an assemble of small wooden chapels which were erected in the 1990’s to honor the last Czar’s family of the Romanov dynasty who were then buried in Ganina Yama. Return to your train for the evening. Today you pass through the plains of Western Siberia and reach Novosibirsk in the late afternoon. 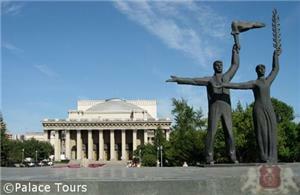 With 1.5 million inhabitants and Russia’s third largest city, Novosibirsk is widely regarded as the centre of Siberia. It was founded in 1893 as the future site of the Trans-Siberian railway bridge crossing the Siberian River. Accommodation in a four star hotel in Novosibirsk. 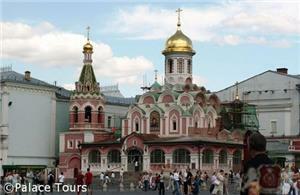 In the morning a city sightseeing tour shows you some remarkable orthodox churches which have survived the Soviet period. You will have an interior visit of the famous Opera House which is the largest in Russia, situated in the center of the city at Lenin Square. 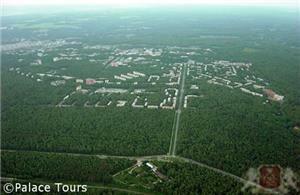 In the afternoon, an excursion takes you out of the city into the Taiga, the “real Siberian forest”. About 30 km out of the city you have the opportunity of visiting the largest open air railway museum of Russia, a collection of more than 60 showpieces of steam, diesel and electric locomotives as well as several historical passenger cars – a perfect insight into the development of the trains on the Trans-Siberian Railway. Return to your train for the evening. 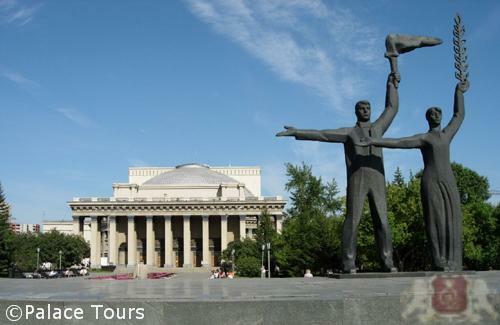 Day 7 - Tour "The Closed City"
Krasnoyarsk, like Yekaterinburg and Ulan Ude used to be a “closed city” during Soviet times – closed to foreigners and also to most Soviet citizens at that time. It is located along the Yenissei River which is the greatest river system flowing to the Arctic Ocean. A sightseeing tour shows you several view points and the main shopping street which is fascinating as the local mayor decided to decorate it with palm trees in summer time – in the middle of Siberia! During a boat cruise on the Yenissei River you will have a great view on the city and the huge railway bridge crossing the river. Return to your train for the evening. Irkutsk is famous for its trade with Mongolia and China and used to be called “Paris of Siberia” because of its colourful life style during the time of the Tsars. You visit the old town with its large quarters still consisting of wooden houses only, before invited to the cultural highlight of the tour, a private classical concert in a palace of historical background. 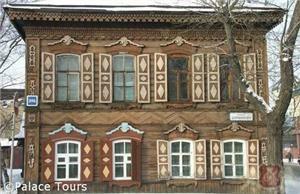 Accommodation in a four star hotel in Irkutsk. 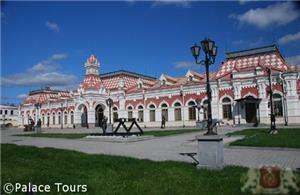 Today you will be amazed by one of the top highlights of your Grand Trans-Siberian Express tour. 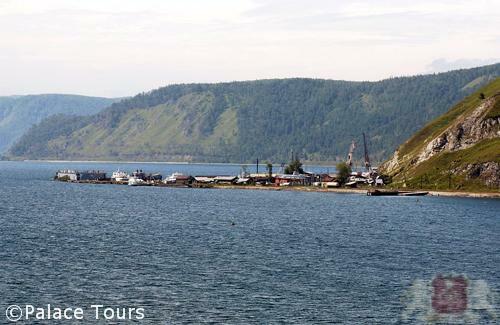 Lake Baikal holds the biggest fresh water reserves in the world. It stretches up to 41.8 km from east to west and more than 595 km from north to south. 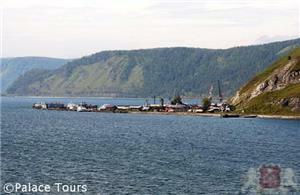 Lake Baikal is the deepest lake of the world, reaching 1,620 meters at its deepest part. The mountain ranges around Lake Baikal and the deep blue water of the lake is a scene you will never forget. During your visit, walk through the village of Listvyanka and see St. Nicholas church, a beautifully renovated orthodox wooden church. For lunch you can have Omul, a fish which lives only in Lake Baikal. In the afternoon a boat takes you on a short cruise to the small village of Port Baikal where your train is waiting for you. A photo stop will be arranged at a small village where you can get off the train, put your feet into the clear and cold water of Lake Baikal, and visit the typical wooden houses of local people. You can also enjoy a Baikal barbecue. Return to your train for the evening. 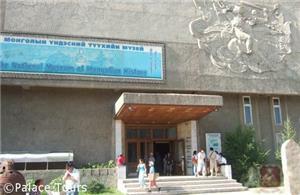 Ulan Ude is the capital of the so-called “Buryat Autonomous Republic” of the Russian Federation. Buryats are an ethnic group close to Mongolians with an amazing mix of cultures. Ulan Ude is a meeting place between East and West. 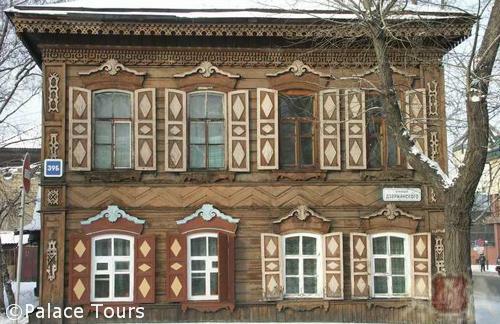 Like Irkutsk, the city still has large areas with typical Siberian wooden houses. Your sightseeing excursion goes to “Ivolginsky Datsan”, the largest Buddhist Monastery in Russia. When leaving Ulan Ude, your train switches from the Trans-Siberian to the Trans-Mongolian mainline on its way to Ulaanbaatar. In the evening the train reaches the Russian border station Naushki and the Mongolian border station Suchebaatar. 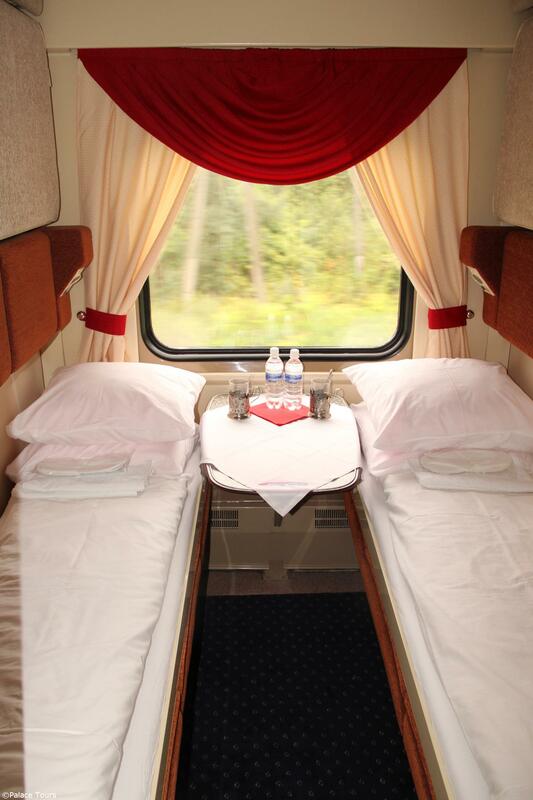 Russian and Mongolian immigration formalities will take place in the train and you may stay in your compartment. Spend the night on your train. 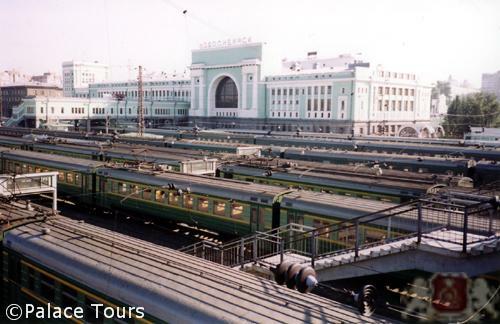 In the morning the Grand Trans-Siberian Express arrives in Ulaanbaatar, the capital of Mongolia. During a sightseeing tour you will visit the famous Ghandan Monastery, the central Sukhabaatar Square, the Bogd Khan Museum (which used to be formerly the winter and sometimes also the summer palace of the Khan’s), as well as the Zaisan monument at a viewpoint high above the city. From there you will have an excellent view of the city which is surrounded by large areas of nomadic yurt settlements. An amazing cultural music and dance show will introduce Mongolian folk music and culture to you. Accommodation in a four star hotel in Ulaanbaatar. Today an unforgettable excursion will take you to the Terelj National Park which is famous for its nature. A stone formation called the “turtle” and the beautiful mountainous scenery will fascinate you. In the park area you will have the chance to meet a herder family inside their yurt. A Naadam show, specially arranged for the participants of the Grand Trans-Siberian Express, demonstrates three disciplines of the Mongolian National Naadam festival: Wrestling, Archery and Horse racing. Accommodation in a four star hotel. Another day for discovering the Mongolian capital city Ulaanbaatar! 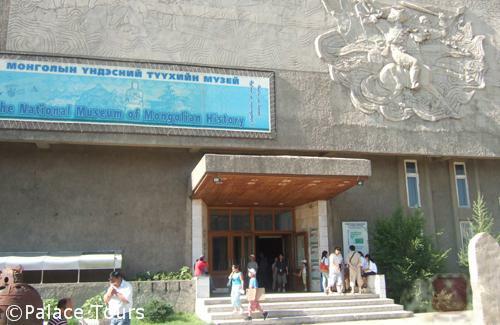 Today you visit the Historical Museum which explains the long history of the Mongolians from Genghis Khan’s times until today. In the afternoon you have time at leisure and if you wish, you can visit a cashmere factory and see how the famous cashmere clothes are designed and produced. In the evening a 2 hour flight takes you from Ulaanbaatar to Beijing, the Chinese capital. Accommodations in a five star hotel in Beijing. In the morning you leave Ulaanbaatar for a 30 hour journey on chartered standard cars attached to a regular train from Ulaanbaatar to Beijing. In the afternoon the train reaches the plains of Gobi Desert, which is not a sand desert but a stone desert. Temperatures can reach 35-40° C here in summer time. In the evening the train arrives at the Mongolian-Chinese border, where there bogies of the train are changed from Russian 1520 mm to Chinese 1435 mm bogies. Spend the night on your train. In the morning you visit the Great Wall of China, Temple of Heaven and in the afternoon the Imperial Palace (“Forbidden City”) and the huge Tiananmen Square. Accommodation in a five star hotel in Beijing. After lunch time arrival in Beijing. In the afternoon you visit the Imperial Palace (“Forbidden City”) and the huge Tiananmen Square. Accommodation in a five star hotel in Beijing. We highly recommend guests choose option 1 on day 13 and arrive by flight due to the extra sight seeing of the Great Wall - a must see attraction. Conclude your trip of a lifetime in Beijing. Airport transfers are provided by our service team to connect with your flight departing Beijing. Gold cabins have a private toilet, wash basin and a spacious shower cabin en suite. Each cabin offers 1 lower and 1 upper bed, a table at the window, a chair opposite the beds, a small wardrobe and storage space. Euro-Sockets for 220 V are in each cabin, capable for razors, loading mobile phones, cameras and notebooks. The cars are air conditioned (individual control). These cars can be booked for 1-2 people per cabin. Silver cabins have a private toilet, wash basin and “wet-room” style shower en suite. Each cabin offers 1 lower and 1 upper bed, a table at the window, a chair opposite the beds, a small wardrobe and storage space. Euro-Sockets for 220 V are in each cabin, capable for razors, loading mobile phones, cameras and notebooks. The cars are air conditioned (individual control). These cabins can be booked for 1-2 people. Deluxe cabins are equipped with 2 lower beds and 2 upper beds. While only the lower beds are used for sleeping, the upper beds can be used as additional storage for luggage – or they simply can be folded away. 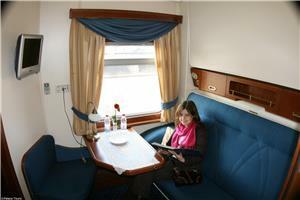 Toilets and wash basins for common use are situated at both ends of each sleeping car. The sleeping cars are air conditioned (central control). Sockets for 220 V are available in each cabin, capable for razors, loading mobile phones, cameras and notebooks. Daily showers are guaranteed in hotel day rooms. Deluxe cars offer 9 cabins each and may be booked for 1-2 people. Standard cabins are popular with those looking for the most economical way of travelling and is usually booked by families with children or friends travelling together. Standard sleeping cars are equipped with 2 lower beds and 2 upper beds. Toilets and wash basins are situated at both ends of the cars for the common use. The cars are air conditioned (central control). Sockets for 220 V are available in the car, capable for razors and loading mobile phones, cameras and notebooks. This cabin may be booked only by 4 passengers travelling together. In the hotels the 4 passengers will stay in 2 double rooms. In the summer, the weather can be fairly warm. Most travelers are comfortable in shorts and short-sleeved shirts. Remember to wear comfortable shoes as there is a fair amount of walking. You may also want to bring a light jacket in case it gets chilly in the evening. You may also wish to bring business-casual clothes when having dinner in restaurants, although this is not required. 2What kind of food is served? The train has 2-3 restaurant cars and one bar car. Russian meals are served while the train is in Russia, and Chinese cuisine while in China. You will also have meals at select restaurants at tour stops. Accommodations for dietary restrictions are available. Please contact your travel agent. 3What kind of facilities are on the train?